WILLEMSTAD – According to the Minister of Justice, Nelson Navarro, he has observed that there is an increase in the number of Venezuelans who come to the island on vacation, but are not traveling back to their country. The minister stresses that there is currently no increase in the migratory flow to the island because of the precarious situation in Venezuela. “Hard figures are not there, but we always address the number of illegal immigrants on the island,” said the minister during a press conference. 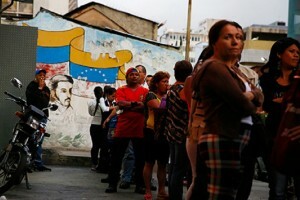 “Some Venezuelans who enter our country, do not want to return and choose to stay illegally on the island. This is not acceptable and is therefore strictly monitored by the police,” said Navarro. Undocumented migrants are always arrested and detained pending deportation, which is the normal procedure used on the island. As is already known, Venezuela is in crisis. There is a shortage of funds and a shortage of many consumer goods, such as food and medicine, and the poor economic situation has led to an unfavorable business environment. This with all the negative consequences. This fear has arisen for Venezuelan asylum seekers coming with boats to the Caribbean in general and to Curaçao in particular. That fear has not materialized, stressed the minister. At least, not according to the Coast Guard. They have been patrolling the coast and keeping a watchful eye on these immigrants.